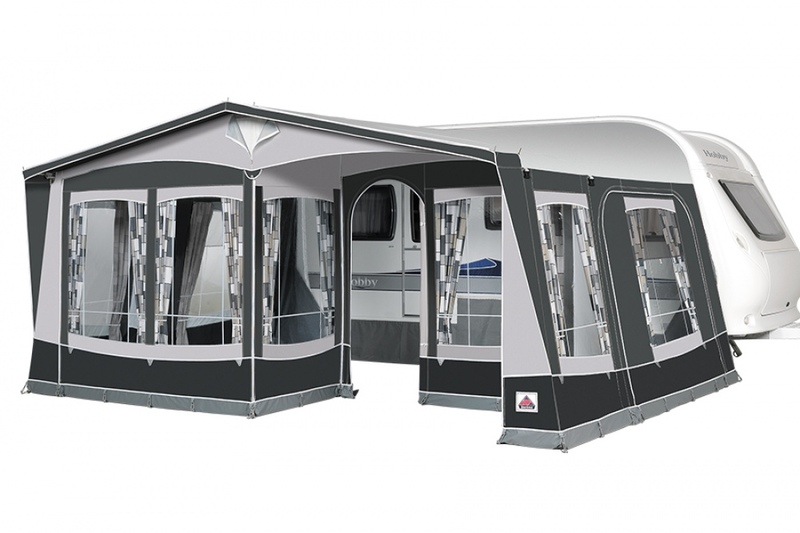 Permanent site campers demand the very highest quality materials for comfortable and relaxing holidays. 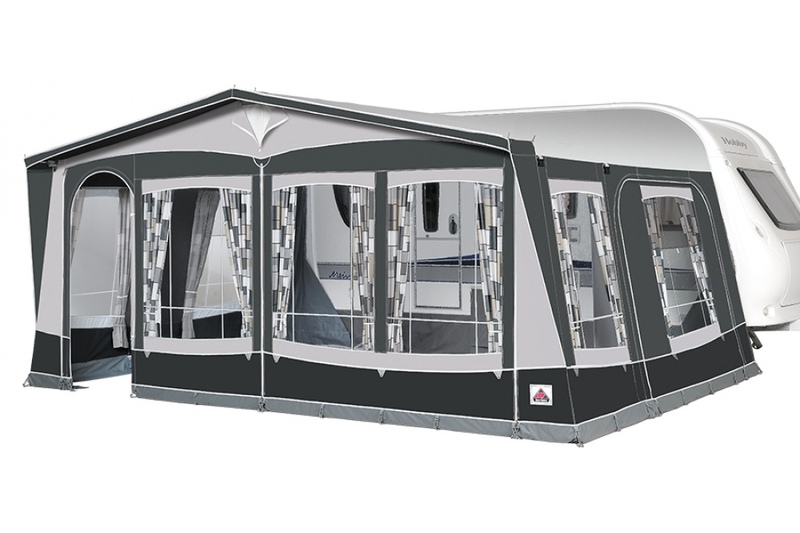 The Royal 350 is produced in the very latest heavy quality Ten Cate All Season material, the ultimate material for permanent site use. 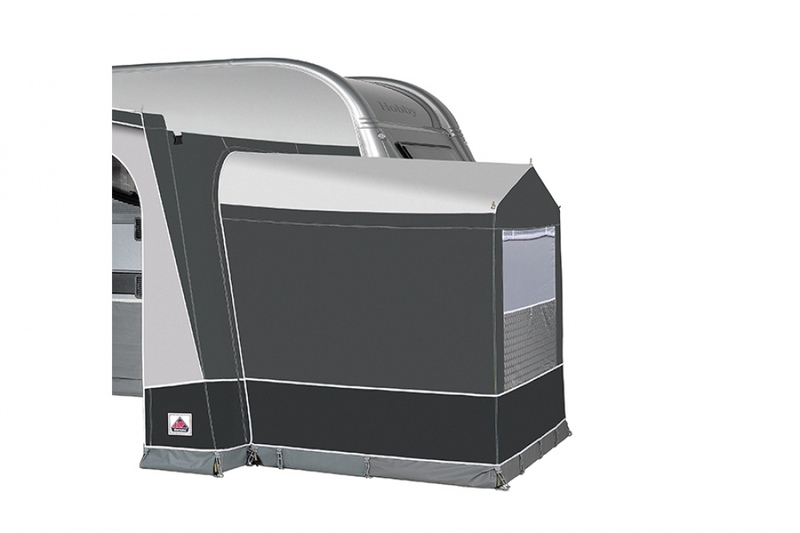 By changing the position of the front panel you can obtain a depth of 240 cm plus a large porch area of 110 cm. By fitting the optional partition wall various practical layouts are available.